Student Health Records Management System of Advanta Rapid ERP provides the entire history for each student including medications, allergies, doctor’s visit and other health concerns. This module records the data very easily and quickly and for long period of time. Separate health records are maintained with access restricted to authorized users. Health management modules help to maintain students’ records that have come with the good deed for good health of students. The school management has introduced this module to overcome any kind of emergencies occurs on school premises. This module helps to keep a track record for student’s health issue, its description, treatment, and precaution undertook. This module generates reports stating that under whose supervision child is there. 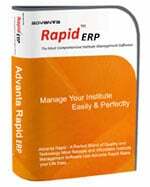 Student Health Records Management module is a part of Advanta Rapid ERP school management system, college management software, and institute management software. This module is designed inefficient way that helps to maintain records for student’s health records starting from the doctor advised till the end of treatment and follow-up taken regarding precaution if the student is taking care according to that. Advanta Rapid is reliable and fully protected software in which no one can change any kind of records which can mislead to management. Once data is entered, with a single click of mouse reports are automatically generated. In Health Management module, you can define all the health problems like fever, allergies, cold and cough, weight, height, eyesight, headache and much more. School management can easily maintain the records for Doctors along with their details like qualification, contact number, availability for weekdays and specialization. This module in Advanta Rapid ERP helps to maintain student full medical histories like under which doctor supervision student was taken care and what was the health issue, its full description along with precautions and treatment. 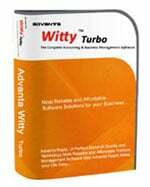 Once all the records are entered in software, reports for the same will automatically generate that can be helpful in future. In Advanta, you can keep a track of student’s health issues and proper follow-up is taken regarding the treatment and precaution. Step 2: Entering records for student health problem along with student details, doctor’s name, description, treatment and precaution against health issues. Step 3: Generating reports for all students’ Infirmary or Health problems. Need more information on Student Health Records Management System? Contact us for a free demonstration of Student Health Records Management System.